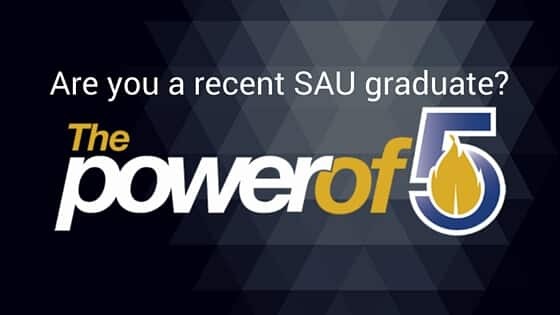 The SAU Foundation offers several partial and full tuition scholarships which are funded by endowments or gifts received by the Foundation earmarked for student financial aid. The scholarships that are available for the 2012-2013 academic year can be found by CLICKING HERE. To apply for a scholarship offered by the SAU Foundation, please fill out a Foundation scholarship application (Foundation Scholarship Application). Each scholarship application must be accompanied by an essay on why the applicant deserves the award. Applications may be mailed to the SAU Foundation at P.O. Box 9174, Magnolia, AR 71754-9174. For more information, please contact the SAU Foundation at 870-235-4078.